June 27, 2016 /in Drescher Elson Sperber /by Drescher Elson Sperber, P.C. The cats have asked me to lend them $20,000. They say that they want to buy a coffee cart to sell coffee and related items to tourists. I am a little suspicious about their intentions since they have been receiving brochures in the mail for greenhouses, bedding boxes, and grow lights. I tell them that I would want them to sign a promissory note, with interest, and a security agreement giving me a security interest in all of the inventory and equipment that they purchase with the loan proceeds, and I would want my security interest to be perfected by filing a financing statement (UCC-1) with the Oregon Secretary of State UCC Section. The cats go downstairs to confer and return five minutes later. They ask me to prepare the loan documents, which I bring home the following evening. The cats email the documents to their San Francisco attorneys, who are attending some type of seminar in Colorado. A few days later the cats sign the documents, which provide that the loan proceeds are to be used exclusively to purchase and operate a coffee cart to sell coffee and related items to tourists in Ashland. I deposit $20,000 into the cats’ business account and I file the UCC-1 with the Oregon Secretary of State. Two weeks pass, and there is no sign of a coffee cart. Concerned, I asked to see the cart, and the cats admit that there is no coffee cart. They have used the money in a more profitable venture. I tell them that this is a breach of the security agreement. They insist that my loan is well secured by collateral worth a great deal more than a coffee cart. I say that I want to inspect the collateral, and they give me directions to a rural property zoned EFU. Once there, I discover that my collateral consists of green, leafy plants. I storm back home and give the cats notice that they are in default and that I have the right to foreclose my security interest. The cats produce a written opinion from their attorneys stating that I am prohibited by law from taking possession of the marijuana crop because I do not have the necessary license to grow or possess more than four plants, and if I did take possession of four plants I would not be able to sell them or their leaves. Realizing that I am stymied, I decide to wait until the fall to collect the debt. The cats assure me that I will be repaid, with interest, and they resume eating peppermint ice cream, purring all the while. Allen Drescher has practiced law in Ashland and Southern Oregon since 1973. His practice areas include real estate, business law, estate planning and elder law. 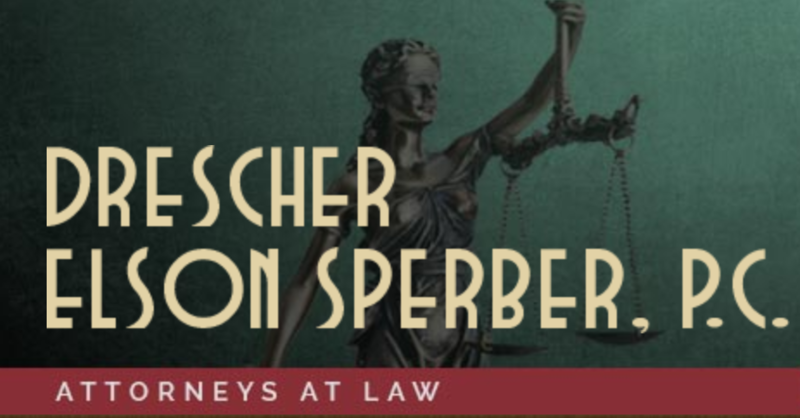 More Posts By Drescher Elson Sperber, P.C.